The Visitor Centre (National Park House) of the national park in Criewen was opened in September 2000. 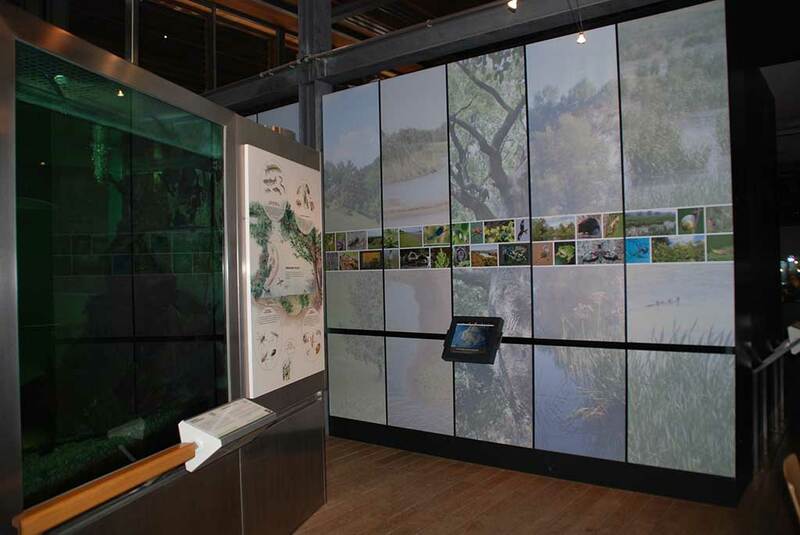 In the hands-on and interactive exhibition, the floodplain landscape of the lower Oder valley can be discovered and experienced. The exhibition invites you on an exciting excursion into the landscape and its history. 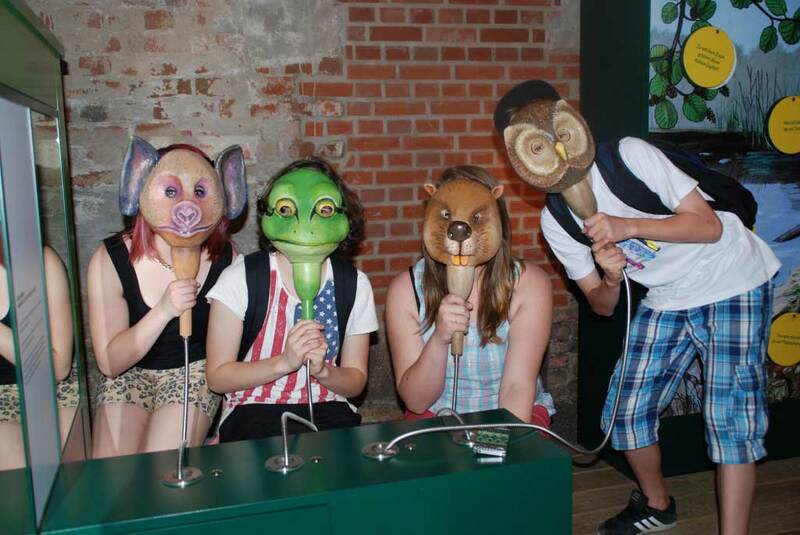 Every visitor can be actively involved and, on a journey through 13 exhibition areas, get closer to the secrets of nature. Bone findings confirm it. Mammoths once lived in the Oder valley. 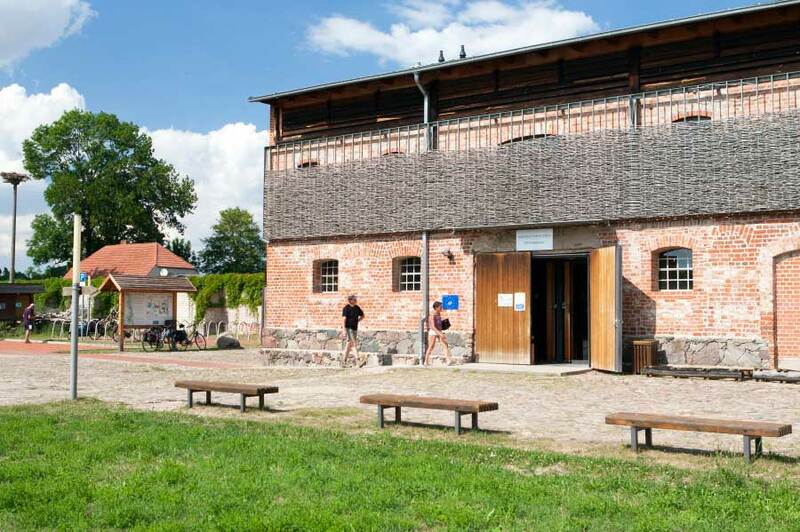 The historical excursion leads into the tundra of the Ice Age, to a Slavic fortress in Schwedt and into a medieval village. Landscape models and moor profiles make the lower Oder valley and its changes over time come alive. 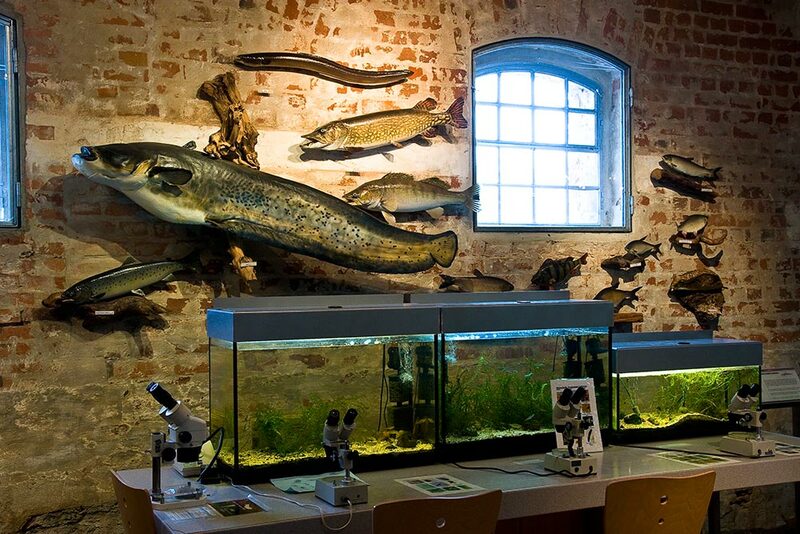 Currently, 49 species of fish live in the Oder. 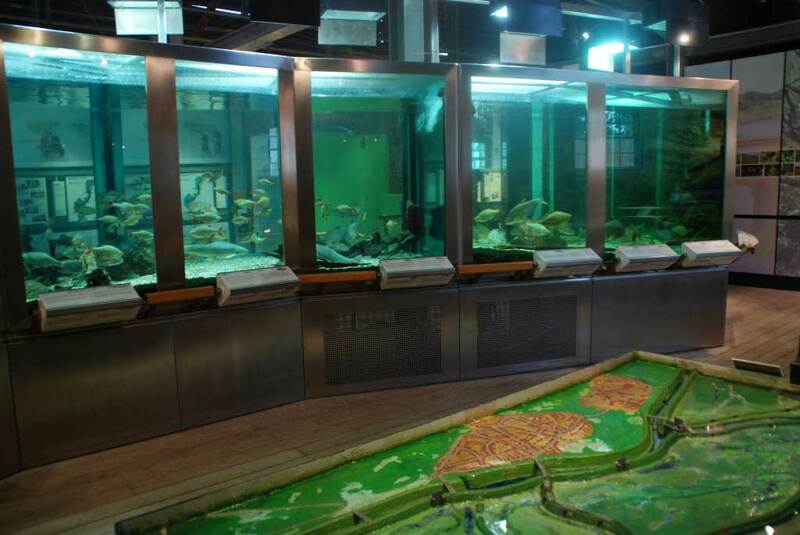 More than 20 kinds of domestic fish swim in the large Oder aquarium. 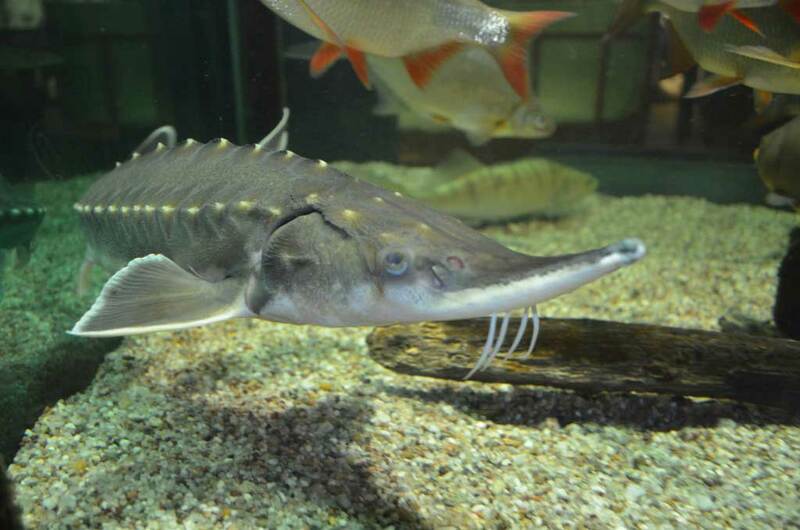 Along with Pike, Golden Ide, Asp, Pikeperch and Burbot, smaller species like Spined Loach, Stickleback and Bitterling can be observed. 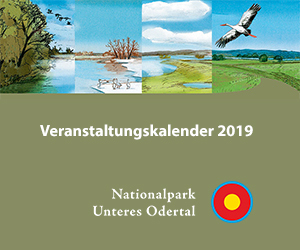 236 species of birds were counted in the lower Oder valley. Be brave and glide on the back of a wild goose over the wetlands. A Bluebox system (chromakey) gives you a bird’s eye view and the sensation of flying. The multimedia show offers exciting insights into the future of the National Park. Go on a journey through time to the year 2095 and experience the virtual changes in the landscape. There are countless tiny animals in the soil and water. Dive into the microcosm of water and explore the bizarre life found in a handful of earth. Microscopes and Berlese traps offer mysterious insights into the hidden world of microorganisms. Wetlands live on the dynamics of water. Play with the water levels and see how polders in the Oder valley get flooded when there is high water. The Polder model shows how water in the floodplain behaves and how humans regulate the high water. There are over 2000 National Parks worldwide. Start a trip around the world and visit the most beautiful national parks on Earth. A computer terminal provides a visual journey to selected national parks of the continents and reveals their special features.